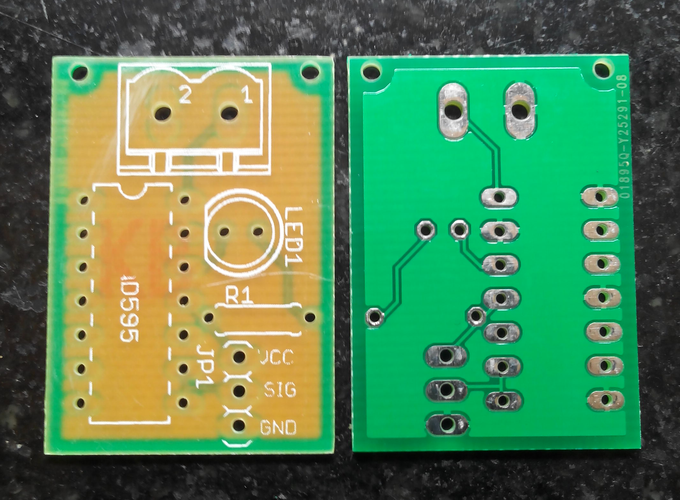 This project is a simple Thermocouple K-type amplifier based on AD595 IC. 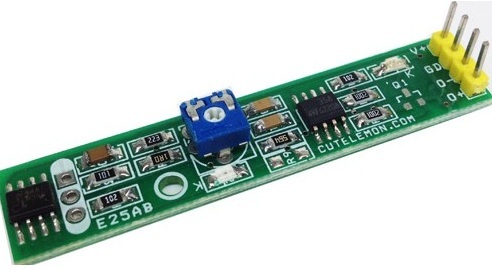 This amplifier converts the thermocouple output voltage (uV) to 10mV/C. 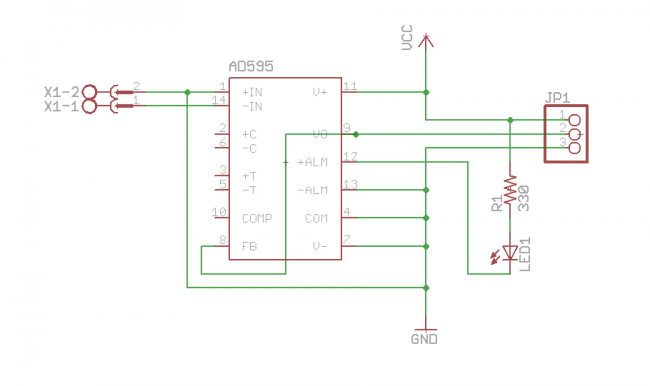 This voltage can be easily further converted by an ADC of any microcontroller. 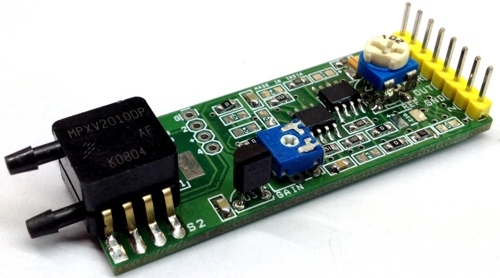 AD595 Thermocouple Type-K Amplifier is manufactured by Analog Devices and is powered in the range of +5Vdc to +15Vdc. The output is 10mV/C and is perfect for high temperature applications. 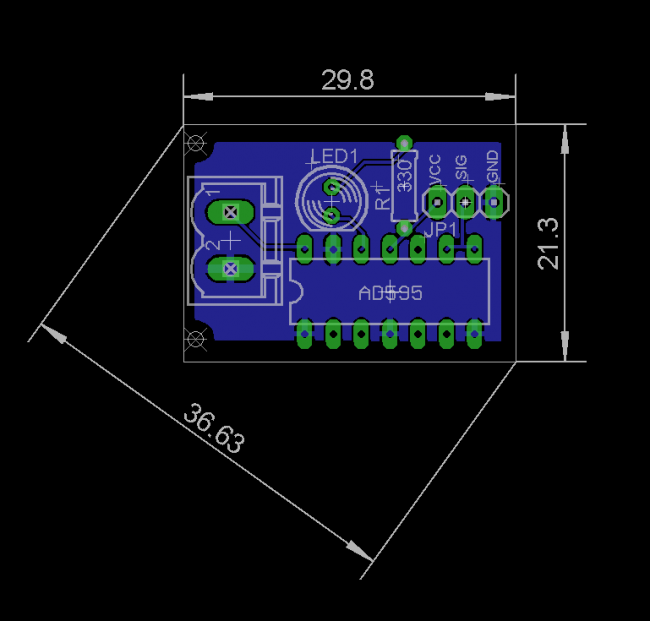 The 10mV/C analog output interfaces nicely with 10-bit ADCs found on many types of microcontrollers. 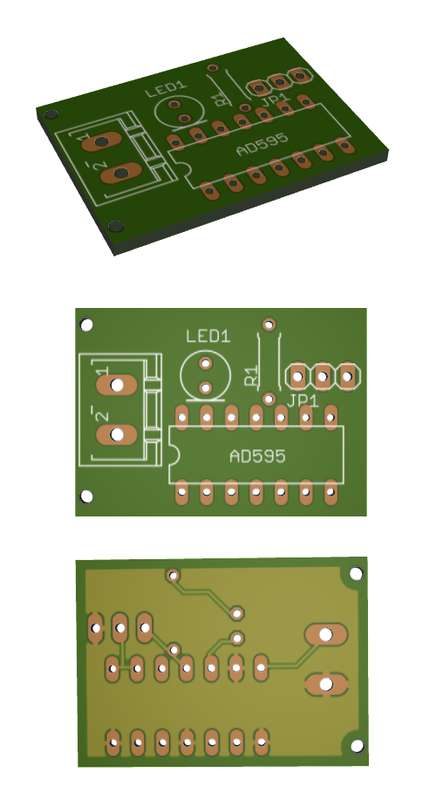 I soldered the leads directly to the board, because it lead to better accuracy, but a connector based approach is recommended, since most thermocouples don’t have the leads marked. 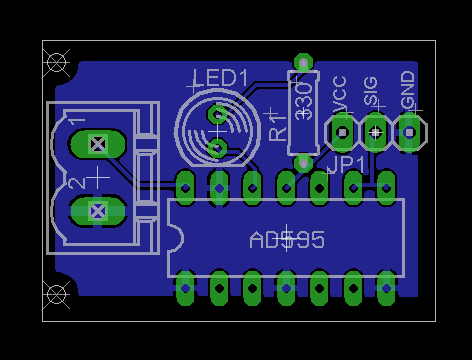 One way to determine is to manually hold the leads on the solder pads and have an arduino read and show temperature. Of course, when the thermocouple is at room temperature, it read the correct temperature if leads are held in correct polarity. 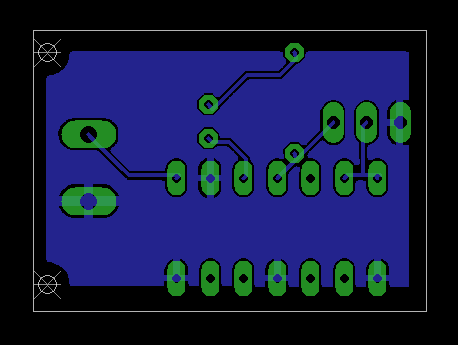 A reversely connected thermocouple won’t be damaged, but the board will read a lower temperature. 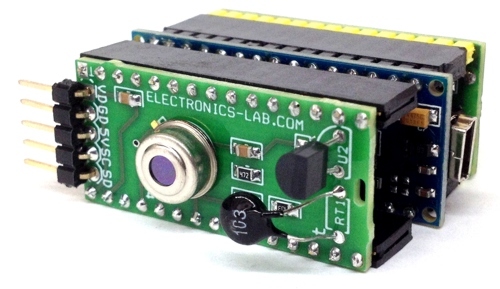 If the thermocouple is heated (I used a soldering iron) there will be a fall in temperature if the leads are connected in reverse. 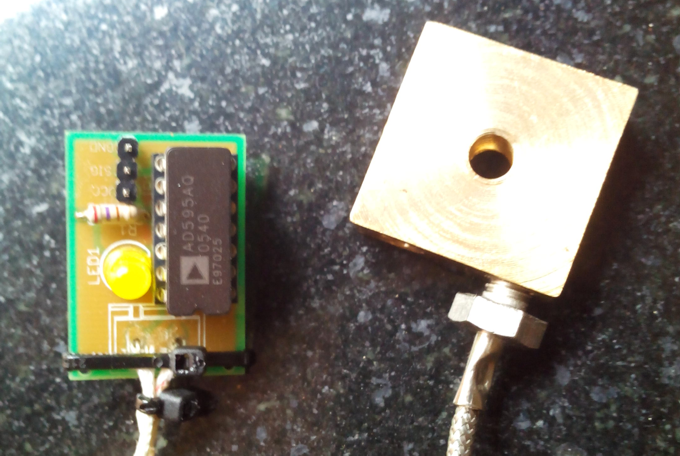 The block on the right is a brass hot end, which I am designing for a 3d printer. A thermocouple with M6 threads helps in eliminating kapton tapes and can go at much higher temperatures to melt high temperature plastics like nylon.